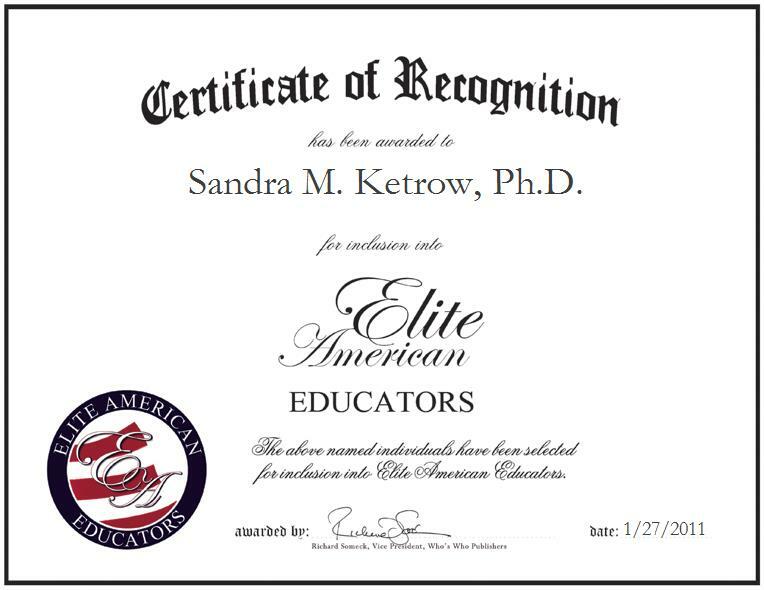 By demonstrating her grasp for seeing the whole picture along with the small pieces that make up the whole, Dr. Sandra Ketrow is able to stand out from her colleagues. In addition to her expertise in group communication, she excels in nonverbal human interactions. As a professor for the University of Rhode Island, Dr. Ketrow teaches three classes per semester in the areas of social sciences and communication. Outside of the classroom, she conducts research on family decision-making and communication during crises. Through her 32 years of combined professional experience, Dr. Ketrow has rendered numerous conclusions and theories about the topic, which she intends to publish in a book entitled “Families Arguing.” A graduate of Indiana University, Dr. Ketrow holds a Ph.D. in communication theory and research, a Master of Science in secondary education, and a Bachelor of Arts in English.